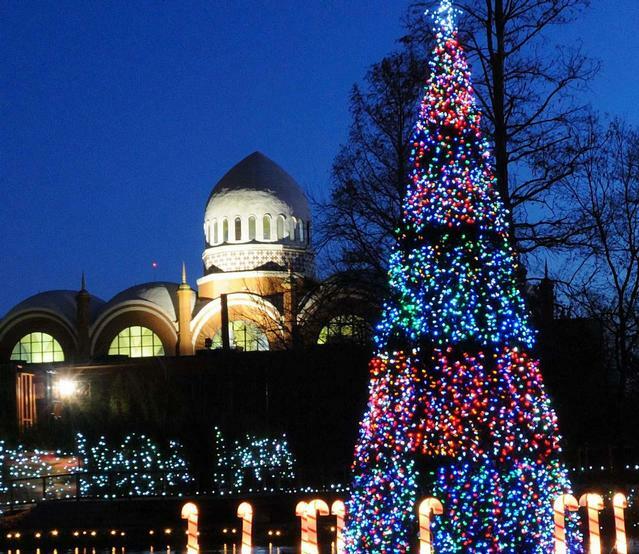 Cincinnati Zoo Festival of lights now in it's 35th year. Are you ready to kick off the 2018 holiday season? We’ve got a great way to start it off–with a visit to the 35th annual Cincinnati Zoo Festival of Lights “Wild Wonderland” display. Voted the #1 Zoo lights display in the nation by USA Today, this has become the best attraction around for holiday lights. 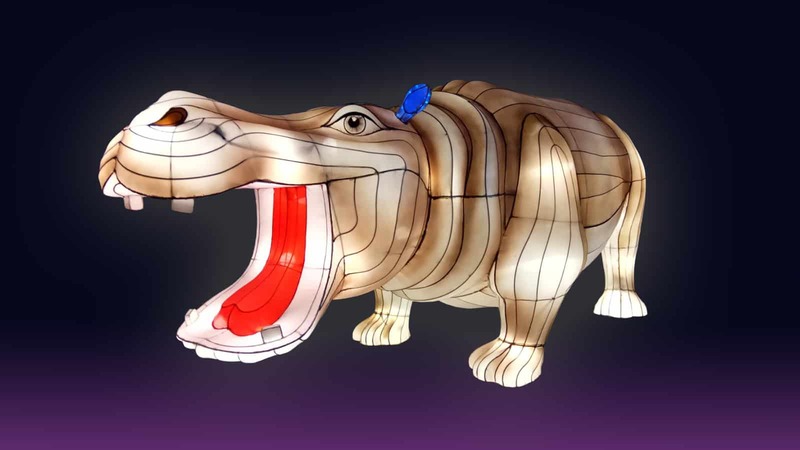 Over 3 million LED lights are up this year along with 19 new larger-than-life animal lanterns. A 15 x 17 ft. digital light plays continuous holiday movies and you can create your own display using the giant Light Bright. 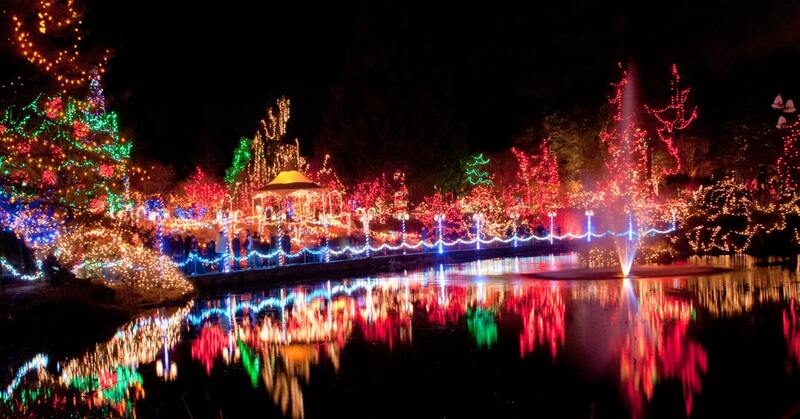 And of course, the lake is surrounded by numerous light displays. At historic Vine Village you will find a 35 ft. tall tree wrapped in more than 20,000 lights–be sure to make this a stopping point for that family photo opportunity. And while you’re out and about be sure to snack on seasonal goodies like fresh baked cookies, caramel apples, funnel cake, hot pretzels and roasted nuts. You can also pick up a S’more pack and roast marshmallows on an open fire. Festival of Lights runs through January 1, and hours are from 5-9 pm– Santa will be available for photo ops starting at 4 pm. While this time of the year is not quite as cold as late December, you may still need to step inside to warm up and several of the indoor habitats will be open as warm-up zones. To beat the crowds your best bet is to show up early–or a little later around 8 pm. Tickets can be purchased in advance and you can save as much as $6.00 per person by buying prior to arriving at the zoo. Prices vary based on the day of the week and range from $13-19 for adults and $7-13 for seniors and children. 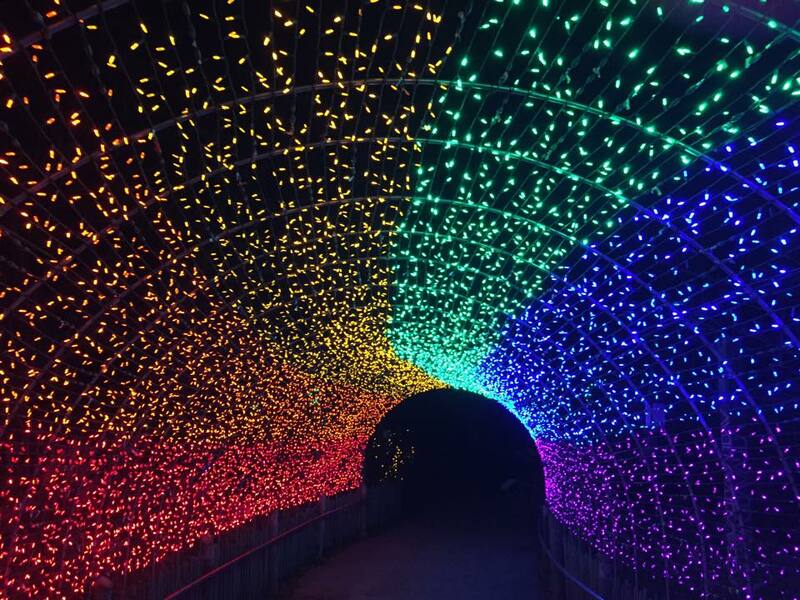 This entry was posted in Christmas Fun, Family Activities, Food, General, Holiday Lights, Ladies Night Out, Zoo, Zoo Lights and tagged Cincinnati Zoo, Family Activities, Holiday Festivities, Holiday Lights by admin. Bookmark the permalink.